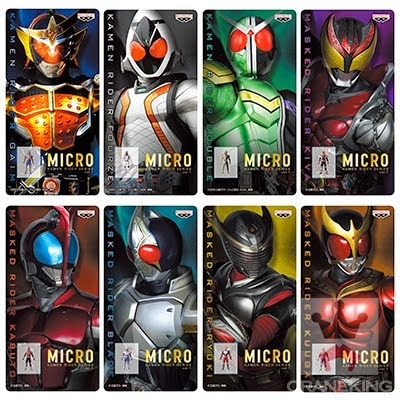 Banpresto's Youtube channel started streaming the latest promo of the MICRO Kamen Rider Series or UFC Micro recently launched last May. As seen during the prize Fair 2013, these mini figurines will be made available as prizes for arcade games in Japan. Each towers about 15mm. First wave includes Kamen Rider Gaim, Fourze, W, Kiva, Kabuto, Blade, Ryuki and Kuuga. The video also features different ways to play with the MICRO figures from placing them on your desktop, necklace charms (sold separately) and more.